We have had such a fun weekend filled with precious family and friends! Those are the best kind, right? My very best friend moved across town this week. So Friday she brought her kids, Maggie and Miller, over to play while they moved in to the new house. Lane and Bethany love, love, love Maggie and Miller. They are much more like cousins than just friends – but they never really had a choice since Sarah and I have been best friends since 9th grade. Maggie loves crafting with her WHOLE heart, so I’ve had several crafts that I wanted to do with them. 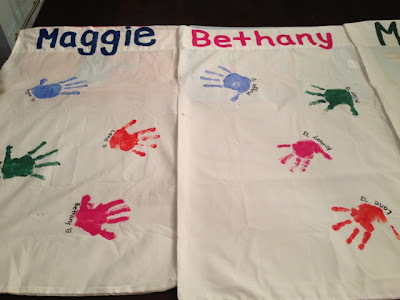 When I was in 2nd grade, my class had a slumber party at school and we made these cute hand print pillowcases. My mom kept it for so many years, so obviously I can’t get rid of it now. 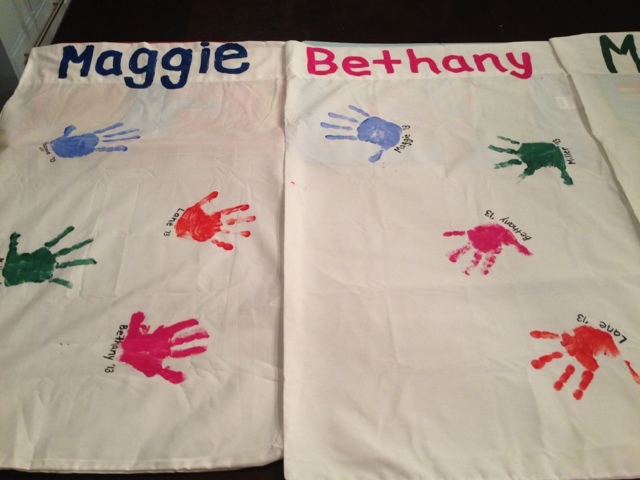 Lane and Bethany have both gone through times when they were obsessed with sleeping with that pillowcase. Lane especially loves that it has my hand print from when I was a little girl. I thought it would be special to have a friends pillowcase. So, I let each child pick out their favorite color. 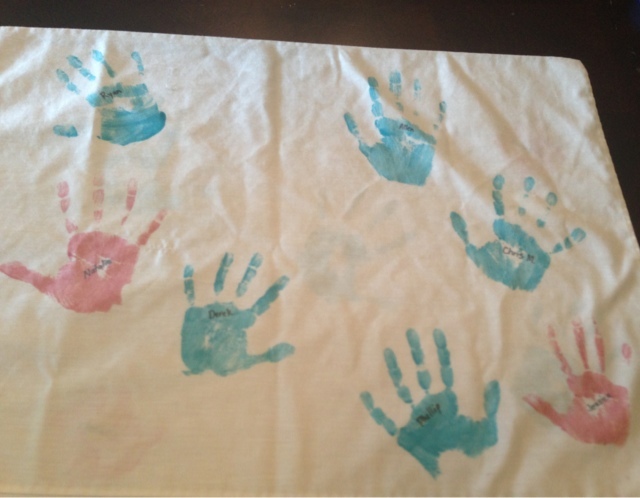 We took turns painting their hands. I plan to do this every couple of years to watch their hands grow. I think it would be a cute idea to do with cousins too. So here is our finished product! We did one more craft project. 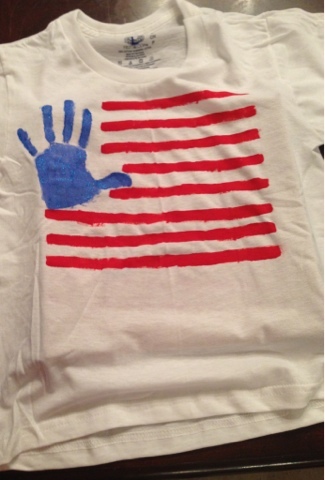 Since the 4th is coming up this week, we made these flag t-shirts. 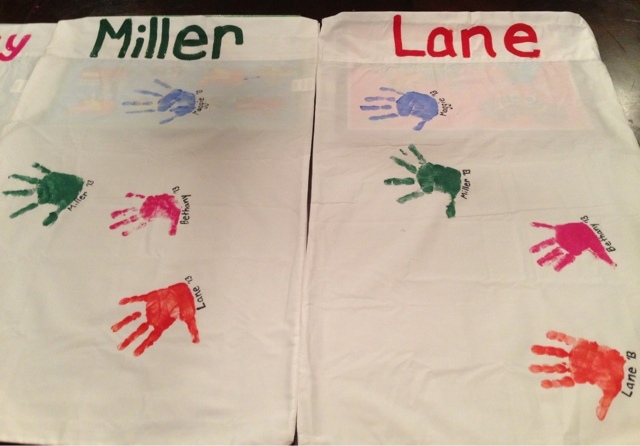 I painted the kids hands and then while they were playing with each other I added the red stripes. 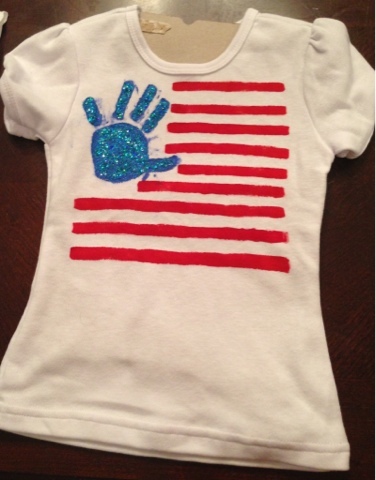 Maggie really liked the sparkle in the paint, so we found some glitter to make the girls shirts extra sparkly! « Beautiful nails and soft legs!